2017 was the year of traveling fearlessly. In a world so often portrayed as risky, dangerous, the reality is that when you actually get out there, you realize how little truth is in those fears. Looking ahead, 2018 is about traveling deeper. It’s about appreciating what we have both here in the US and around the world. 2018 also marks the 50th anniversary of the US National Wild & Scenic Rivers Act, which gives special wilderness protection to designated rivers and lands around the US. In honor of this, we’ve highlighted several public lands — national parks, forests, and recreation areas — that can make trips extra special, and can be found even in the middle of large metro areas. Wherever you find yourself in 2018, here’s to traveling deeply, and making your best travel stories yet. People always associate Nevada with Vegas, but what really deserves checking out are the many cool small towns. An interesting fact as well: Nevada has the most hot springs of any state in the US. For 2018, we’re recommending a cowboy town/ghost town road trip with little side visits to some amazing national parks and public lands. Start in Reno, a kickass little city in its own right (with the Truckee River whitewater course flowing right through), and then head out to Virginia City and across Hwy 50 for some incredible open space before hitting up Ely and Great Basin National Park. From here, you’ve got a ton of options looping back north or south; check our Nevada small town guide. When to go: Spring or fall if you want to avoid extreme desert heat; this can be a great winter trip. In Elko, the 34th National Cowboy Poetry Gathering is taking place January 29 – February 3, 2018. Get deeper: Great Basin National Park is one of the last places left in the US with almost no light pollution, and is designated an International Dark Sky Park. Throughout the year there are free astronomy programs with telescope viewing and talks from rangers. Hokkaido is Japan’s northernmost prefecture. It’s a terrain dominated by rugged mountain ranges, volcanoes, and hot springs (onsen). It’s also home to the largest national park in Japan — Daisetsuzan National Park. 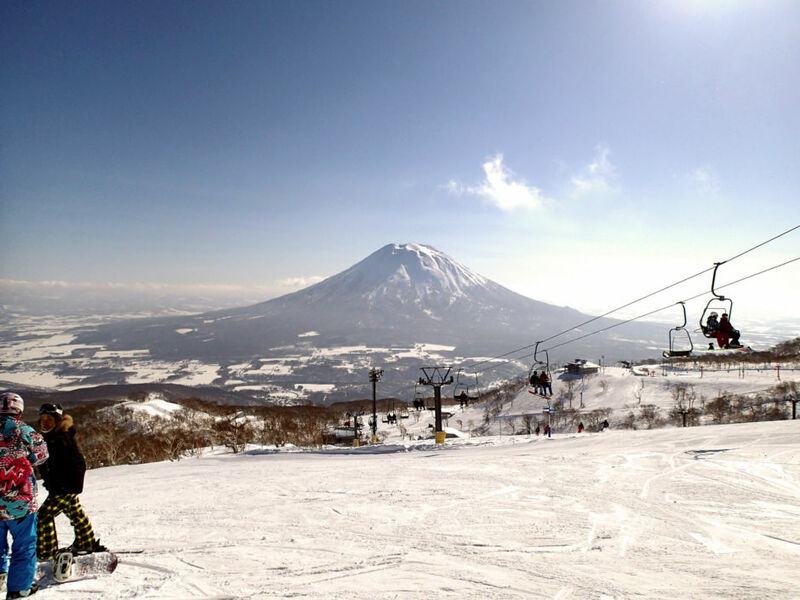 This part of the world gets massive snowfall (its largest city, Sapporo hosted the 1972 winter Olympics), and there are various ski areas around the island — Asahidake, Rusutsu, Furano, and Niseko — any of which could make for an absolutely epic trip if you can handle the long haul from the western hemisphere. Get deeper: It’s always interesting to track how certain cultures develop their own take on sports, and nowhere is this truer than Hokkaido. Perhaps owing to the peaceful lifestyle of hot springs bathing, sushi, and deep powder, Hokkaido has become an epicenter for snowsurfing, a laid back form of freeriding. Snow surfers look for big clean lines in deep powder, riding hand-shaped, binding-less boards. San Sebastián is the cleanest and perhaps most romantic town in Spain, with Michelin-star restaurants and a mountainous coastline dotted with miradores, scenic lookouts begging for a nice date and a bottle of Rioja. It’s an ideal place to set up for a week to share gourmet dining, great nightlife, and high-quality surf. The beach right in town, Zurriola, can get world-class, especially in fall and winter, but there’s typically something surfable year-round. 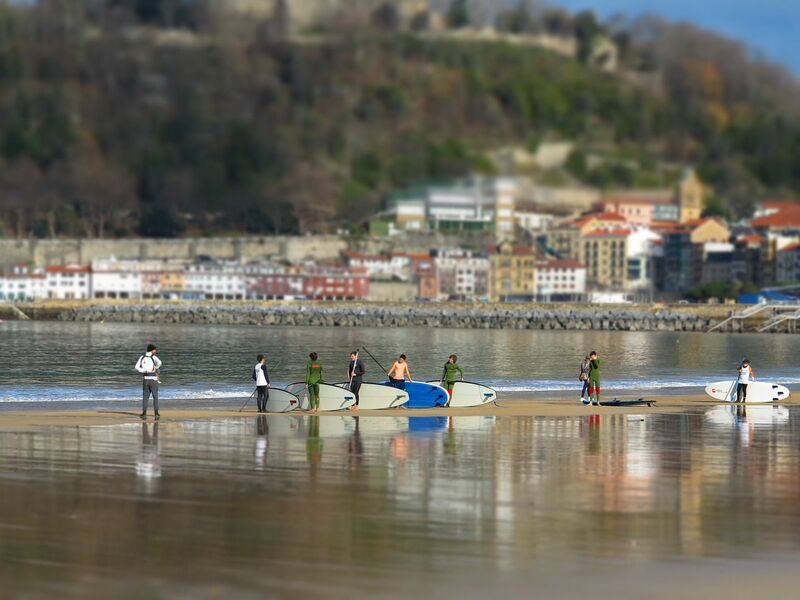 It’s also just a one-hour-and-a-half drive to Mundaka, among the best waves in the world. When to go: Anytime year round works, but late fall for epic surf conditions. Get deeper: Each week, the various streets of Donostia trade off a special night called “pintxo pote,” a Basque tradition of outside seating where everyone enjoys drinks and pintxos out on the sidewalks till late at night. The whole town moves there after hanging together on the beach at sunset. It’s impossible not to have a good time. Over the last decade, Atlanta has increased more than any other city in the US in terms of its cultural influence. Atlanta is the capital of southern hip-hop and the trap sound that’s taken over today’s popular music. And between the Atlanta Media Campus & Studios and explosion of TV shows and films shot here, it’s become the “New Hollywood,” behind only to New York and LA in the number of productions. Coinciding with this has been an awesome urban renewal and much cooler downtown. The Atlanta Beltline is redeveloping old railroad infrastructure into dozens of miles of interconnected trails and greenways around the city. In general, most visitors are surprised at how green and woodsy it feels here. The Chattahoochee River with its dense Piedmont forests flows through the metro area with various National Recreation Areas and awesome hiking trails, put-ins, and take-outs for float trips. Obviously, the food and nightlife scene is world class. My favorite restaurant is out in Roswell — check out Greenwoods, which was farm to table decades before that was even a thing. When to go: September to November, April to May. Hotlanta (which nobody says but tourists), is sweltering in the summer. Winter can often be rainy and surprisingly cold. Spring and fall are both beautiful. Get deeper: It doesn’t matter what age you are or what age your kids are, the Center for Puppetry Arts will put a huge smile on your face. It’s the largest organization for puppetry in the US. Dozens of Jim Henson’s creations are featured, including many original muppets (Kermit! ), along with tons of characters from Sesame Street and other shows. Slab City and Joshua Tree are two very different places, but in close proximity and totally worth a road trip. A large wilderness area within the Mojave and Colorado Deserts, J-Tree has long been one of the most epic climbing areas in the country, with many crews coming to camp out for weeks at a time. There are also interesting motels such as the Harmony Motel, made famous because U2 stayed there. An hour and a half North into the Sonoran Desert is Slab City. Described as “the last free place in America,” it’s an ongoing encampment of squatters, RV’ers, and just your average, everyday people wanting to get away from it all. Part of Slab City — East Jesus — is literally an ongoing livable art installation. Best time to go: November means cooling temperatures, and (in Slab City) the snowbirds come back, so the city’s in full swing. Go deeper: Stay in Slab City in a local’s Airbnb (the Ca Ponderosa) for just $30 a night. Outsiders may think the only place to visit in England is London, but there are lots of cool places. Consider Banksy‘s hometown, the powerhouse university city of Bristol. Over the last three decades, Bristol has had a major influence on music around the world, pioneering drum and bass, a whole galaxy of alternative bands, as well as trip-hop, which is closely associated with the local street art scene, particularly Banksy. 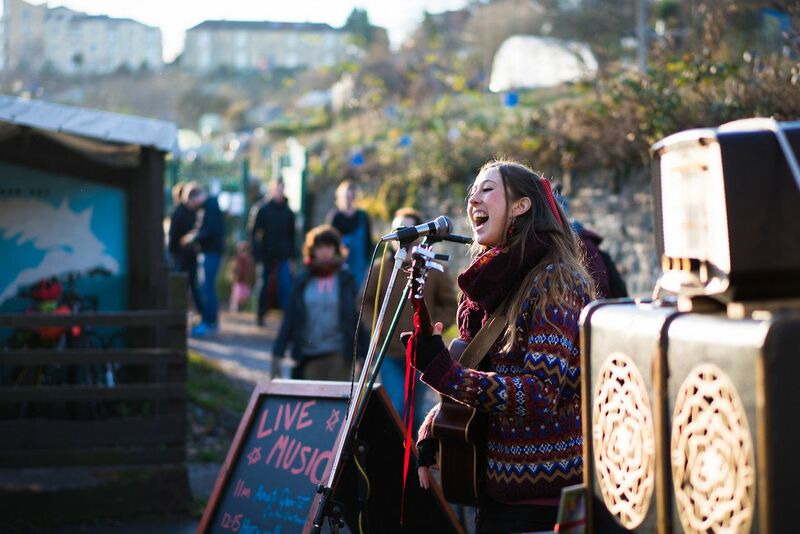 Great music venues and shows continue to this day, and there are lots of independent shops. When to go: June. Check out the summer festivals, such as this year’s Forest Live which features Paul Heaton (of HouseMartins and Beautiful South fame) headlining. Get deeper: Check out Motion. One of the most incredible nightclubs in the world, it has a surreal set up of interconnected warehouse spaces along the river with cobblestone courtyards and top international DJs.